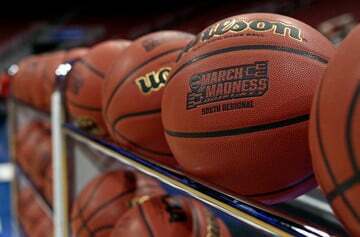 Remember that scene in “Raiders of the Lost Ark” where Indiana Jones is chased by a boulder? 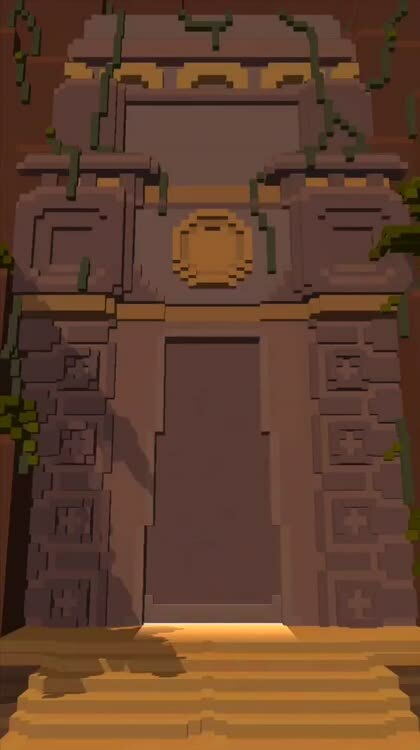 Well, that scene has become the jumping-off point, so to speak, of the new endless platformer Cliff Hopper, which is something like Temple Run as played from a different perspective and with blocky graphics and deceptively simple gameplay inspired by Crossy Road. This is Cliff Hopper, your new adventure hero. Cliff escapes fireballs and rotating saws chased by a huge boulder. Cliff runs and jumps. Cliff doesn’t die. Be like Cliff. 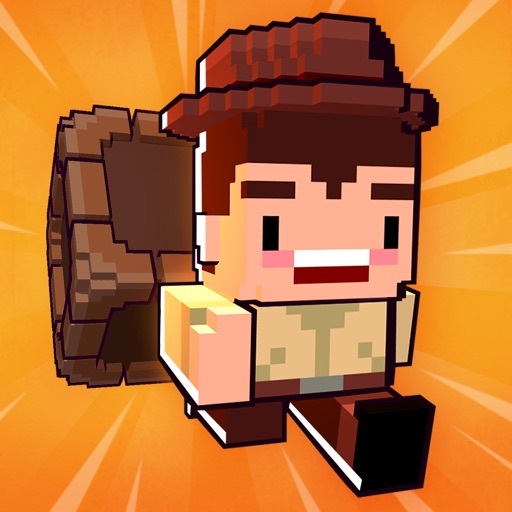 In Cliff Hopper, you play as the titular adventurer. Apparently, at the beginning of the game he has just set off a booby trap in an ancient temple, causing a boulder to roll in perpetual pursuit. It’s your job to use your almighty finger to control Cliff as he runs, lest the boulder catch up with him or he meet his end by some other deadly means. 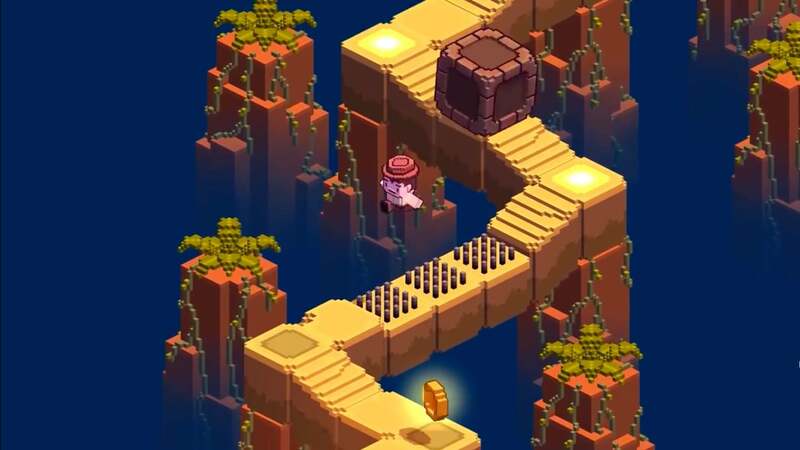 Instead of Temple Run’s behind-the-back approach or Crossy Road’s bird’s-eye view, the third-person isometric perspective used in Cliff Hopper allows the player to clearly see what lies ahead in the narrow and trap-filled path of the character and how close the boulder is getting to him. 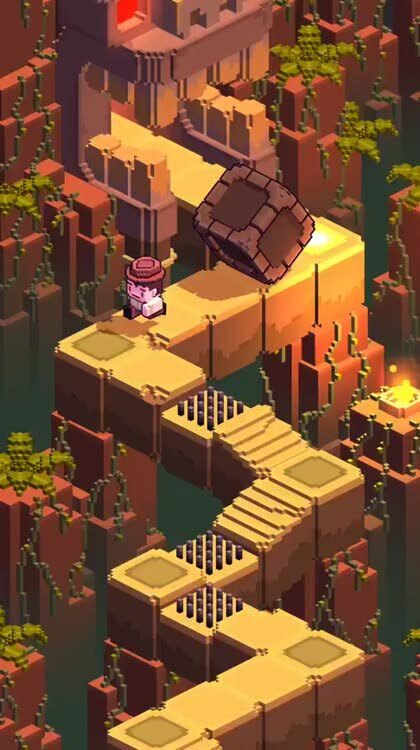 You, the player, need only tap to control Cliff’s movements: Tap to make a turn at a corner, tap to jump over an obstacle, and double-tap to double-jump over a longer obstacle. Be sure to time your taps well so you don’t fall off the edge, get burned by fireballs, cut by rotating saws, pierced by spikes … Well, you get the idea. There’s a variety of obstacles across the game’s different environments. And of course, there’s always the boulder that’s out to crush you. As you play, you can collect coins or watch ads to earn more of them. As in Crossy Road, you can then spend your coins to unlock characters that you can play as instead of the default one. 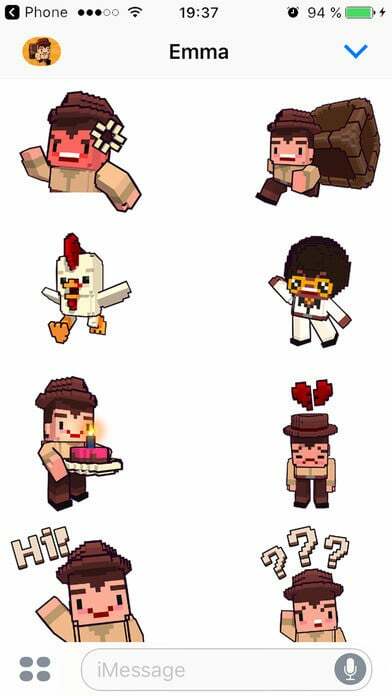 In Cliff Hopper, you can collect more than 40 characters, including a wizard, a knight, and even a chicken. 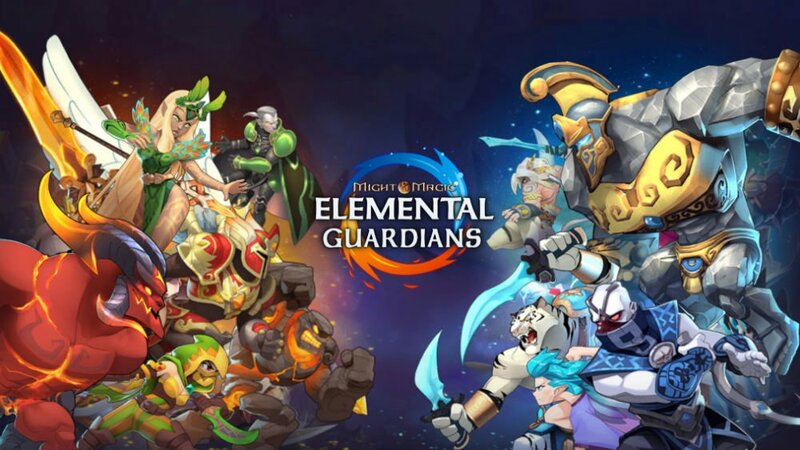 If you have real money to spare, you can unlock characters via in-app purchase. Cliff Hopper is yet another worthy addition to the “easy to learn but hard to master” category. 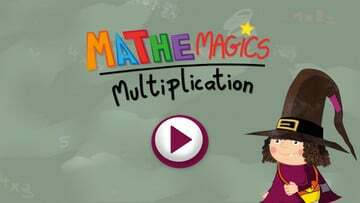 You’d think that, in the game, you’ll just be tapping and tapping all but mindlessly, but no: A missed or mistimed tap can have fatal consequences. What with its variety of obstacles, quickness of pace, and cast of collectible characters, Cliff Hopper is well-positioned to be your next endless casual game addiction — and maybe even the next Temple Run or Crossy Road. 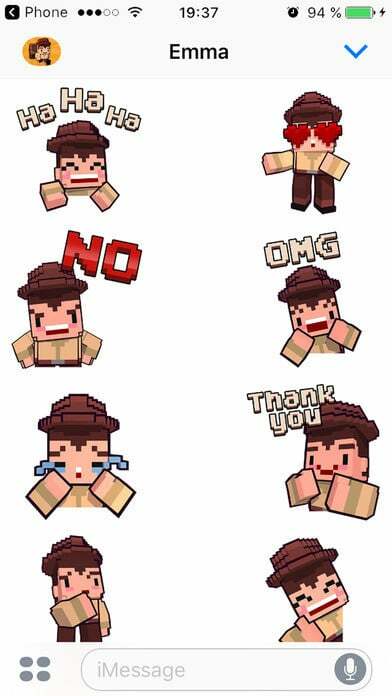 So if you want to make like Indiana Jones and see how far you can go while being chased by a boulder, download and play Cliff Hopper. Compatible with iPhone, iPod touch, and iPad, Cliff Hopper is available now on the App Store for free, with in-app purchases for removing ads and directly unlocking additional characters. 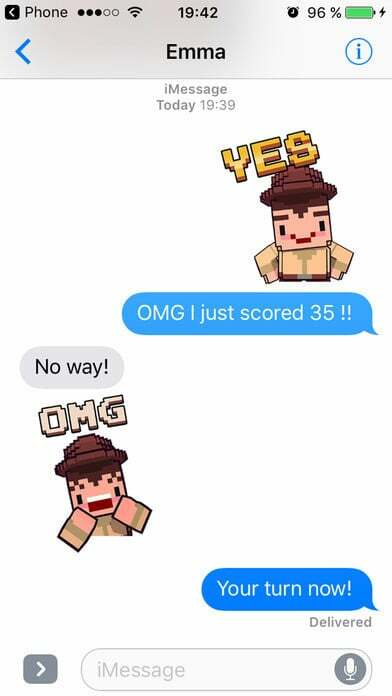 Cliff Hopper comes with an iMessage app that lets you send stickers featuring the game’s title character.